The regional secretary for Inclusion and Social Affairs was this morning at the ceremony of delivery of certificates to 22 graduates who finished the fifth course of accounting and taxation technician, the responsibility of Gestlíder. 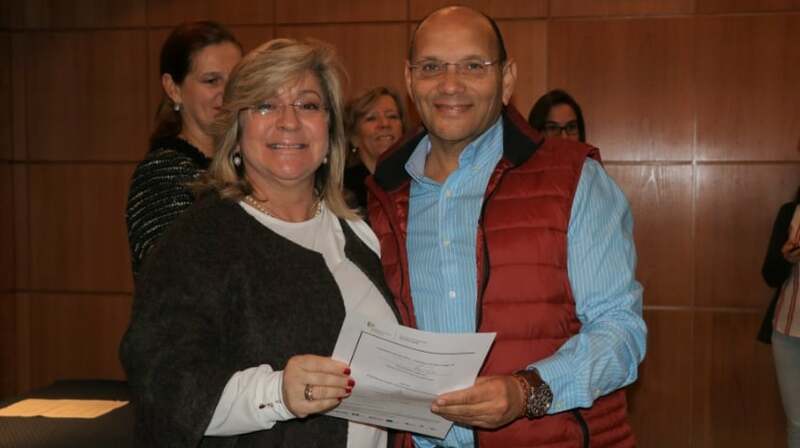 At the ceremony, held at Gestlíder headquarters, on the way to Santo António, Rita Andrade said she hoped that this was the first phase of a cycle that is the first of many. “The main objective of these initiatives is to provide the unemployed population with new tools and job qualification indices, better adapted to the new labor market contexts, significantly improving their employability levels and making them more suitable for insertion or reintegration into the labor market. the labor market, “explained Rita Andrade. Gestlíder has become one of the partners towards improving the qualifications of the unemployed population. This “fruitful collaboration allowed to certify 114 unemployed through five courses with a total of 125 hours,” he said. At this time, the certificates of the fifth course were delivered, which ended at the end of November last year. There were 22, the graduates who came to an end. The initial group was 24, so there were only two who did not finish training due to labor market insertion. Of the 114 unemployed who took up training at Gestlíder, 28 are already in the labor market, which is equivalent to 25% of the trainees who were in training. Under the Madeira Operational Program 14-30, to be developed over two years, in partnership with the Institute for Qualification and with 20 training entities from the Region and the Continent, 133 training paths were par- ticipated, of which 1115 already started and allowed to integrate in training actions, a total of 2,329 unemployed.